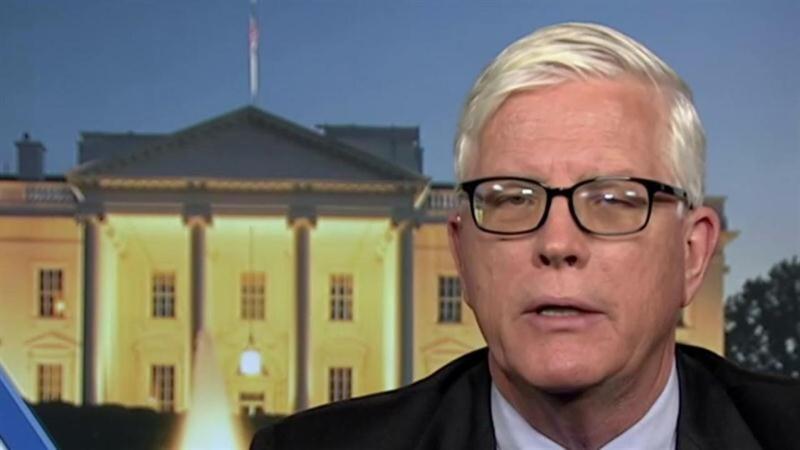 Conservative radio host Hugh Hewitt on Wednesday said the GOP should look to change the rules at this summer's Cleveland convention so it can ditch Donald Trump as its nominee. "The worst 72 hours for the Republican Party since 2000 when the George W. Bush DUI was dropped," he said on his program, adding, "We're going to get killed. We're going to get killed." Hewitt said the "self-savaging" party leaders inflicted on Trump after he continued to pursue a racial line of attack against a federal judge was like nothing he had ever seen. The latest Trump firestorm centered around his persistent attacks on US District Judge Gonzalo Curiel over his Mexican heritage. The Manhattan billionaire said Curiel cannot fairly preside over a civil case involving his now-defunct for-profit real estate school, Trump University, because he is of Mexican descent and Trump is "building a wall" along the US/Mexico border if elected in the fall. Republicans from all sides of the party have publicly condemned the remarks and demanded that Trump change his tone. In a late-afternoon Tuesday statement, Trump took a step back from the attacks but did not apologize. He made no mention of his attacks against the judge in his prepared post-primary speech later that night. "Paul Ryan had to come out and say those are racist comments," Hewitt said. "Sen. Mark Kirk unendorsed him. Sen. Jeff Flake of Arizona said, 'Well, he might not be our nominee.' Mitch McConnell hammered him. It was a day of self-savaging of the Republican nominee, I've never seen anything like it. And by the end of the day, it was clear: Trump's campaign was in free-fall and on fire."